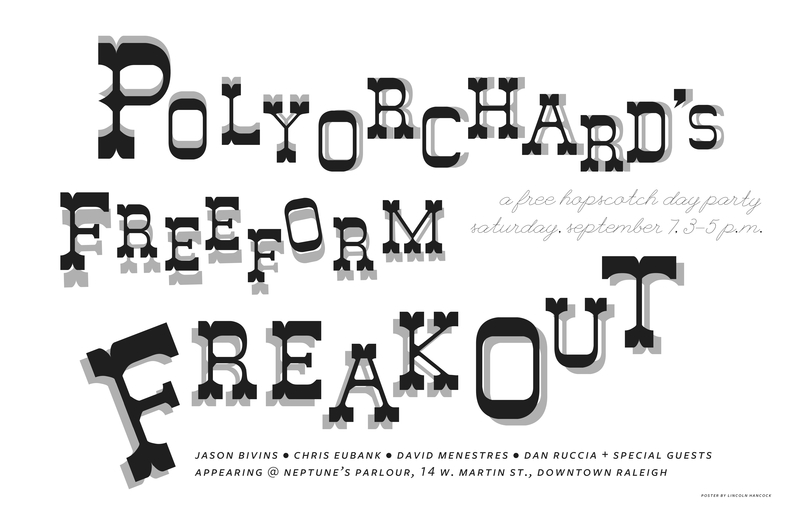 Polyorchard is throwing a FREE day party at Neptune’s Parlour from 3-5pm on Saturday September 7 as part of the Hopscotch Music Festival. For this show, Polyorchard will be Jason Bivins (guitar), Chris Eubank (cello), Dan Ruccia (viola), & me (bass) + special guests. The first special guest was confirmed this morning and is non other than then great Japanese musician Merzbow. Neptune’s Parlour is located underground at 14 W. Martin St. between Fayetteville St. and Salisbury St, underneath King’s Barcade. Food available from Garland, located on the ground flour above Neptune’s.